Michael Johnson, the singer, song-writer, storyteller, and guitarist who has delighted audiences at Gustavus Adolphus College annually for forty years, returns to Björling Recital Hall for a 40th Anniversary Concert Celebration, Friday, December 12 at 8:00 p.m. This performance on te Gustavus campus is one of only two performances the national recording artist will present in Minnesota this season. 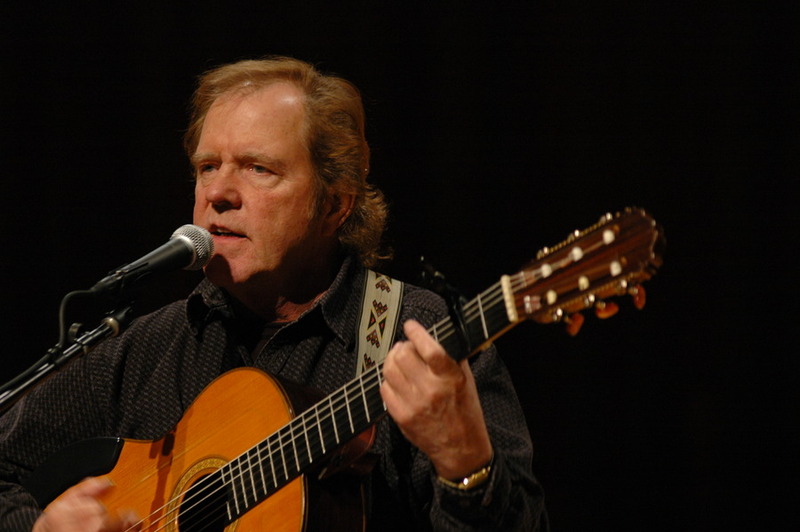 Johnson, originally from the Minneapolis area and now living in Nashville, first performed at Gustavus in April 1968 with the late John Denver as part of the trio of Denver, Boise and Johnson. Following his departure from the trio one year later, Michael spent a year acting with an off-Broadway company and returned to Minnesota and to singing. Since that time, he has studied and toured internationally eight times and has recorded eleven albums, which include ten hit singles and two #1 country songs of the year. Even those who don’t know his name will recognize his hits: Bluer Than Blue, Give Me Wings, Ponies, and Rooty Toot Toot for the Moon. Tickets are still available for Michael Johnson’s annual winter concert on December 12 at Gustavus. The performance begins at 8:00 p.m. Tickets are $20.00 for adults and $15.00 for students, senior citizens & GA staff. For ticket purchases, please call the Gustavus Ticket Center at (507) 933-7590 or go on-line at www.gustavus.edu/events/artistseries/. Any tickets remaining will go on sale one hour prior to the concert in Björling Recital Hall box office. Come celebrate a truly amazing 40-year tradition of Micheal in concert at Gustavus. Become a part of the tradition and celebrate the Christmas season with Micheal Johnson and with us.